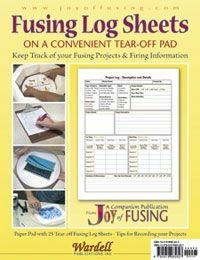 Paper pad with 25 tear-off Fusing Log sheets. Keep track of your fusing projects and firing information. Tips for recording for projects. A companion publication from #90215 "Joy of Fusing".